I don’t believe Plex has any way to access drives from a network location, but like this thread on Plex for Mac suggests – http://forums.plexapp.com/index.php/topic/58993-add-folder-from-local-network-nas-hdd-in-plex-server-library/ – if you are able to mount them within the local filesystem, then you should be able to do it with no problem. I’m not really that familiar with NFS, but this is how you can do it with CIFS (the successor to Samba – should be compatible with your MyBook if MyBook supports Samba). Since you said there’s no password, guest should work. And open Nautilus (the file manager). 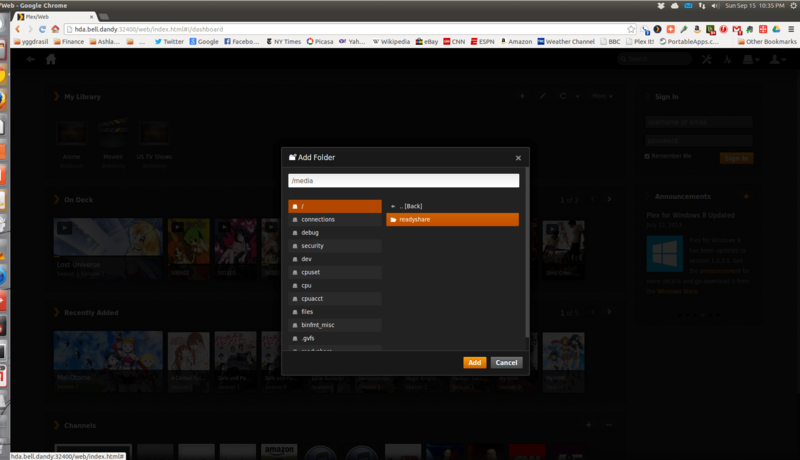 Your MyBook’s Plex folder should now show up in the left-hand sidebar! 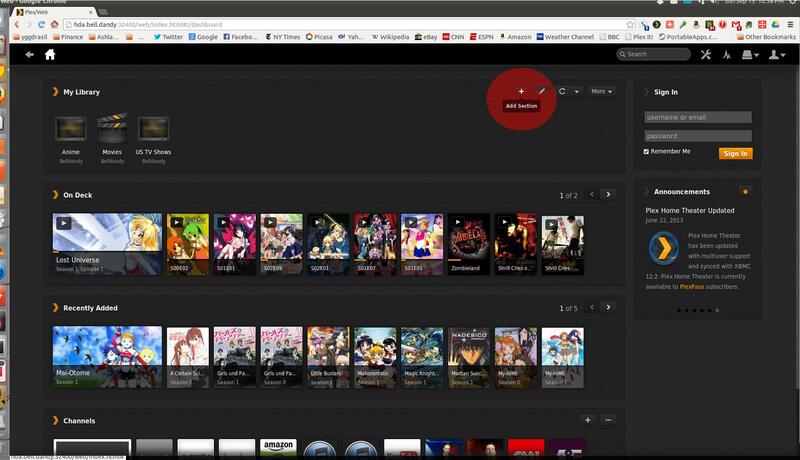 So, also, you should now be able to “Add Section” in the Plex Media Server web UI by clicking the big + sign in the My Library section (below in red).